Buying a piece of fine jewelry is often associated with a major event in a person's life. Whether you're looking for a locket for a loved one's birthday, a fine wristwatch for a college graduate, or an engagement ring for the love of your life. Jewelry usually marks a special event in life, one to remember. Often times, the process of buying jewelry is an event in itself, or at least that is what Retail Jewelers are banking on. Retailers often mark-up jewelry as high as 300%. At All That Glitters we sell jewelry at prices 50-70% off retail prices. In addition to incredible savings, All That Glitters offers a number of FREE reward programs designed to build our relationship with our customers for years to come. All of our Customer Reward Programs require your original receipt, in your name. Lifetime Stone Replacement - Our Life Time Stone Replacement Program is contingent upon you bringing in your jewelry every six months for a FREE Cleaning and Inspection. Our trained staff will inspect your jewelry for any noticeable wear and will recommend and list on your original receipt any repair work that may be needed at the time of inspection. You are responsible for maintaining your purchase. As long as you do this, if you ever lose a stone, we will replace it absolutely FREE. 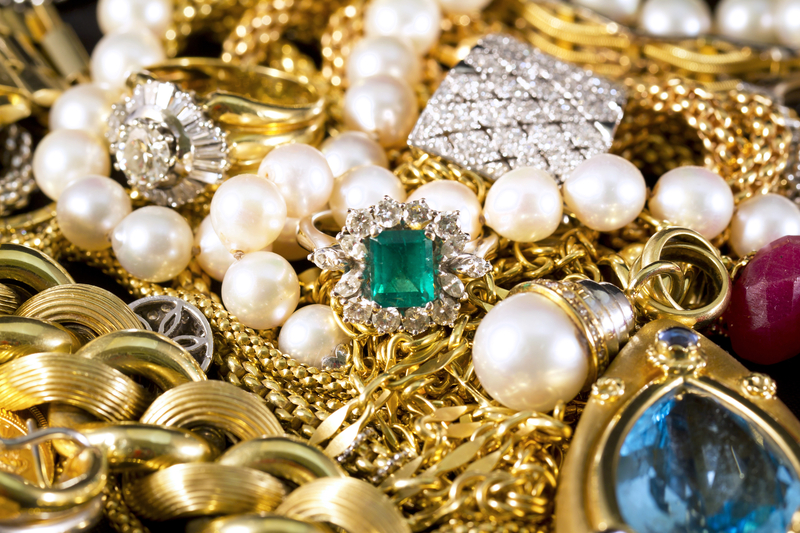 Loans at 50% - If the need were ever to arise for you to borrow some money, All That Glitters offers loans of 50% of your original purchase price on any jewelry that you bought with us. Just bring in an original purchase receipt that's in your name. TRADE-UP - Our Trade-up program is the best in the fine jewelry business. All That Glitters will give you the full value of your last jewelry purchase towards your next one! Just keep your original sales receipt, come in to one of our five locations, and select a piece valued at $50.00 more than your last one. Be sure you bring in an original receipt in your name. That's all there is to it. All That Glitters is a family-owned and operated business serving Oregon's Pacific Northwest for more than 25 years. We are a member of the National Pawnbroker's Association, and active members of the Oregon Pawnbrokers Association. Our goal is to ensure that every customer is treated in the friendliest and fairest way possible. We do this by offering lifetime stone replacement policies and an excellent trade up policy on all of our jewelry. We offer wholesale prices every day with discounts starting at 50% off of Retail Prices on nearly all the jewelry we sell. All other merchandise is researched and priced with you in mind. We want to sell it, we don't want to keep it!